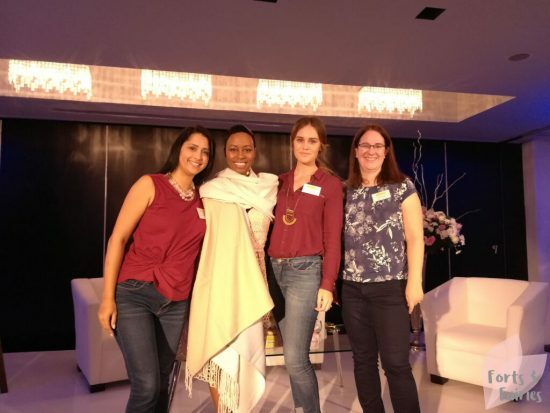 Johnson’s held their first Baby Masterclass in Johannesburg recently and I was fortunate to be invited to attend the event. I enjoyed learning about the importance of protecting the health of a baby’s skin, with special attention to the sensitive nappy area. Even though I have had two babies and thought myself quite knowledgeable about wet wipes and a baby’s skin I realised I still had a lot more to learn. 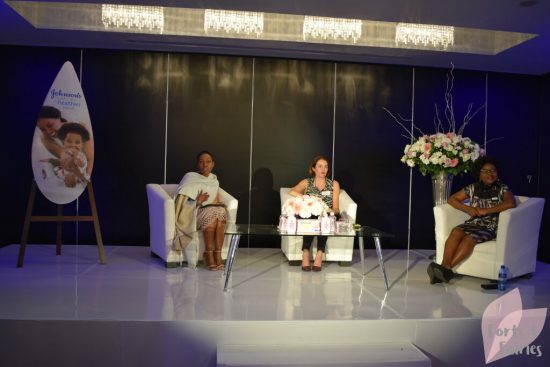 The lovely Elana Afrika was the MC for the morning, introducing us to the panel of two experts, both passionate about babies’ skincare – Dr Carol Hlela, who is a paediatric dermatologist, and Jacquelyn Paterson, who is the Johnson’s Baby portfolio manager. Why are babies’ skins so sensitive? Dr Hlela walked us through why babies’ skins are so sensitive and why it’s so important to protect their skin from damage. The skin is a baby’s first line of defence against the outside environment, sun damage, detergents and microbes. A baby’s immunity can take strain if that first line is damaged. As moms we need to be intentional in looking after our babies’ skins. It is more sensitive and more vulnerable as it is 30% thinner than an adult’s skin. This is even more important in the nappy area which is more sensitive because of excessive moisture and friction which can lead to an impaired barrier. Which baby wipes should we choose and why? There are so many choices available on the market today that it can become confusing, you need only look at the baby wipes available at your local shop to see this. As moms we need to remember that not all these products were created equal, and that we should always put the health and protection of our babies’ skin first and choose which products we use wisely. Baby wipes can be as safe as water on sensitive skin, they can also be more effective in protecting against the causes of nappy rash. Bearing in mind that baby skin is more vulnerable than adults because it’s 30% thinner, that babies are more susceptible to infections because they have increased skin permeability and lose water five times faster, and that mothers use around 12 wipes a day on growing babies, you can see how important it is which baby wipes you choose. You should look for a baby wipe that is hypoallergenic, cotton soft and one that has gentle emollients and a neutral pH level of around 5.5. You should avoid baby wipes that include strong chemicals (such as alcohol, soap or triclosan), essential oils, or wipes that are preservative free (gentle preservatives are necessary to prevent bacteria and microbes growing). What can we as moms do to keep the nappy area healthy? Keeping your baby’s nappy area healthy is as simple as A, B, C, D, and E! 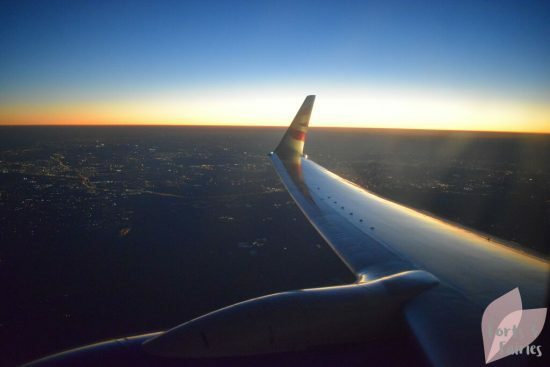 Air your little one’s nappy area as much as you can with nappy-free time. Use a good quality Barrier cream to help protect that area. Cleanse the area with a baby wipe after every nappy change. Choose absorbent diapers and change them often. Educate your mom tribe and care givers to also follow good nappy changing hygiene skin care practices. Johnson’s Baby Wipes are a great choice for moms, meeting all the requirements to cleanse gently and effectively at nappy changes, and even including the No More Tears formula. The Extra Sensitive Wipes which are fragrance free are perfect for moms of newborns and young babies, while the Gentle All Over Baby Wipes are suitable for moms with older babies and toddlers. Moms should also then invest in protecting the nappy area with a product like Aveeno Baby Daily Care Baby Barrier Cream which is also from the Johnson’s range. What is Johnson’s Baby doing to help? Even though contact dermatitis is completely preventable, sadly in our country the reality is that poor socio-economic conditions make skin problems difficult to confront. Last year Johnson’s Baby launched the Johnson’s Baby Healthy Skin Project in partnership with Unjani Clinics in South Africa. This project aims to improve the health of three million babies by 2020, and only a year in now 2.1 million babies’ lives have already been impacted. Through this inspiring project Johnson’s is providing thousands of mothers and babies in need access to treatment through the Unjani Clinics. It’s also serving to educate mothers about skin health for babies, strengthening health systems in vulnerable districts with the Unjani Clinics, as well as providing training and resources to the Unjani nurses. 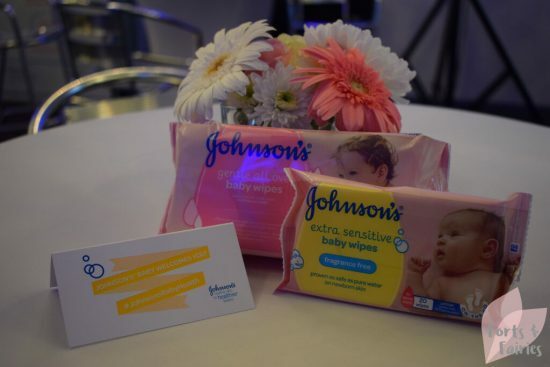 Johnson’s is also working with dermatologists and healthcare influencers to educate parents and they are also sponsoring products and educational materials. Thanks to Johnson’s for inviting me to attend this Baby Masterclass, I learnt so much valuable information and I am so happy to be involved in helping to spread the word on this wonderful project. It was also so lovely to meet new friends and to catch up with other friends too.